How to Create Video Content for a Blog Using Screen Recording? Incorporating some video content into a blog is a good move and one that should allow you to draw more visitors and engage them at the same time. However before you can start adding videos to your blog you first need to create them – and one way to do so is screen recording. Seeing as screen recording will quite literally allow you to capture video footage from your computer screen (or any other device) it is a great way to come up with videos. The fact of the matter is that you’ll be able to record video footage of anything on your computer – including software, actions, or other digital products. Additionally screen recording has a lot fewer logistic requirements than other videos. All you really need is a screen recorder, such as Movavi Screen Capture Studio for Mac. Tutorials or guides that show how to perform a particular action involving software or any digital product. Because screen recording can record video of your screen, you can show yourself performing the action so viewers can follow suit. Demonstrations for digital products that discuss their features or capabilities. Once again screen recording can showcase these features more effectively than other videos. Interviews or discussion panels carried out via video calls or conferences. Using screen recording you can record the video call while it is ongoing and turn it into content for your blog. Gameplay videos by using screen recording to capture footage from video games. Technically there are lots of different types of gameplay videos including walkthroughs, guides, playthroughs, ‘let’s play’ videos, and so on. The list above should give you some ideas – which is a good place to start seeing as the next step is to plan the video itself. Define the goal that you want your video to achieve. 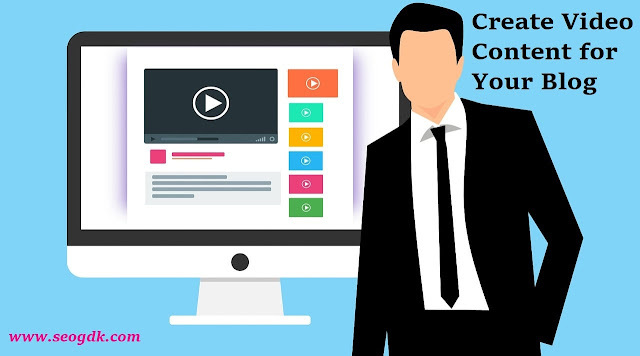 Decide on the type of video that you want to create. Find a topic that you feel will be interesting to your audience. Fine tune the message and how it will be conveyed visually. Write a script for the video and edit it ruthlessly. By planning your video you should have a better idea of what footage you need to record, how long it will be, and what else needs to be done. That being said there are a few things you should know that could help you plan a much better video. Keep it short as viewers have short attention spans. Ideally, the video shouldn’t be longer than 1 to 2 minutes, but it is subjective and the optimum length for videos can vary. Place a hook in the first few seconds to entice viewers to stay and watch more. Try to visually convey the message as effectively as possible, as people absorb information better visually and will find it more appealing. Make sure the audio quality is good, and consider getting a high-quality microphone to record better audio. Add subtitles or captions so that your video message gets across even if viewers have it on mute. Leverage emotions to more effectively engage viewers and provoke them into taking action. If you take all the factors listed above into account when you’re planning and recording the video – it should engage more viewers and keep them watching while encouraging them to react by commenting or sharing it, which will be good for your blog. At this point, you should be ready to record the video – which will honestly be the easy part. Everything else up to this point should have laid the foundation that you need to be able to record the footage that you need and compile it into video content while editing and tidying up a bit of course. When you do publish the video on your blog, try to use analytics so you can track its performance. That way you’ll be able to start gathering data and analyze it to improve any videos that you make in the future as well.